I find it necessary to defend Roe v. Wade on its 30th anniversary, because it was so important in the fight for women's liberties and the decision not to bring a chid into this crazy world if conditions were wrong. We all know the best birth control methods can fail and that the average person is generally not equipped to spend the next 18 years raising a child for many reasons - emotional, financial, social, other. I remember when the bill was passed, knowing it would change reality forever. The teenage girls I taught, most from ghetto areas of Brooklyn, would now have choices. At last a woman could make her own choice unless otherwise coerced by someone else. I remember the days before women had freedom of choice, and they were often barbaric. Though people today don't always terminate unwanted pregnancies, often due to religious belief systems, there should be a choice, and I have helped many clients go through that. There have always been clients who know their parents never wanted them and were treated as such. The world is crazy and children should only be born to those who are equipped to raise them with love and compassion. In disallowing many state and federal restrictions on abortion in the United States, Roe vs. Wade prompted a national debate that continues today, about issues including whether and to what extent abortion should be legal, who should decide the legality of abortion, what methods the Supreme Court should use in constitutional adjudication, and what the role should be of religious and moral views in the political sphere. 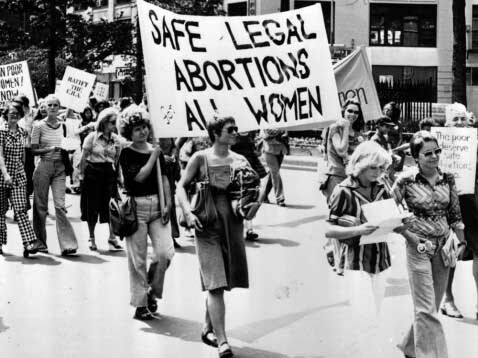 Roe v. Wade reshaped national politics, dividing much of the United States into pro-choice and pro-life camps, while activating grassroots movements on both sides. President Obama's re-election bid emphasized abortion rights more than any other presidential campaign in history, warning women that their reproductive freedom was at stake on Nov. 6. But while Obama picked Supreme Court justices believed to support abortion rights and backed federal funding for Planned Parenthood, state legislatures quietly passed a record-setting number of restrictions over the past two years, according to the Guttmacher Institute.